Introductory price $449 for a very limited time. 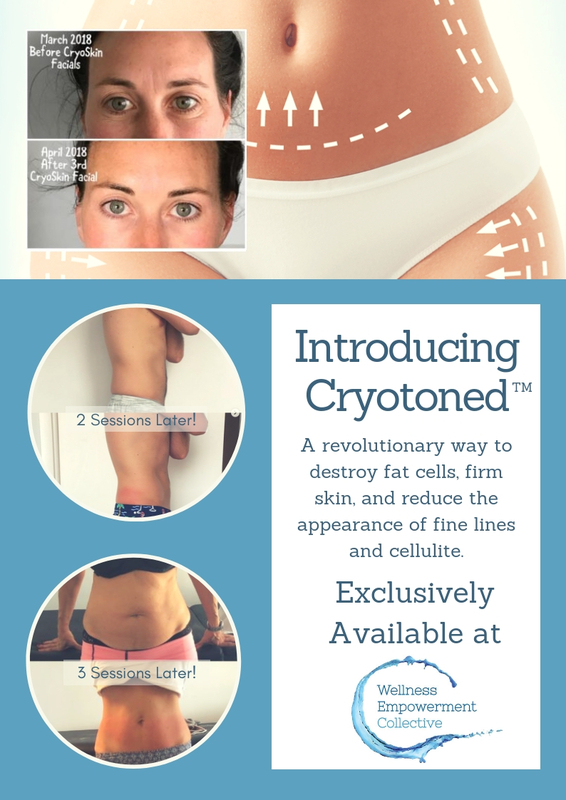 CryoSlimming consists of a 3-phase thermal shock that helps to naturally destroy fat cells. Photo shown is after 3 slimming sessions. Visible results after first session. Desired results often take 4-6 sessions. Studies have shown 38% fat lost after 5 sessions. Dramatic results that last weeks! A painless alternative to Botox and other anti-wrinkle treatments. Cryotherapy helps to stimulate major collagen production, lifts the face, and visibly reduces wrinkles. A non-surgical facelift! Results seen immediately after one session, and best results will appear from 15-30 days later! Limited time introductory price of $199, will return to $349 RRP April 15! Introductory Price! $449 for a limited time! If you’re looking to remove cellulite or slow down the aging process this is the treatment for you. This 30-minute cold therapy treatment will help improve your microcirculation and speed up your metabolism, which results in higher collagen production and visibly less cellulite. Results often seen after first session; most clients purchase a series of 5 sessions for maximum results. Treatments can be booked once weekly.